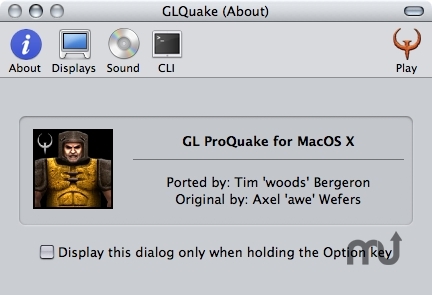 Mac OS X version of JPG's ProQuake client. Is there a better alternative to ProQuake? Is ProQuake really the best app in Action category? Will ProQuake work good on macOS 10.13.4? ProQuake is JP Grossman's updated Quake client for Windows and Linux. This Mac version incorporates all the improvements of JPG's engine except cheat-free server connectibility. ProQuake is the client of choice for the online competitive Quake players. All credit goes to JPG for ProQuake source code adjustments and Fruitz of Dojo for the Mac OS X Quake 1.1 port for which this release is based. ProQuake needs a review. Be the first to review this app and get the discussion started! ProQuake needs a rating. Be the first to rate this app and get the discussion started!